Institute hostel has mess with modern kitchen and runs under most hygienic conditions. 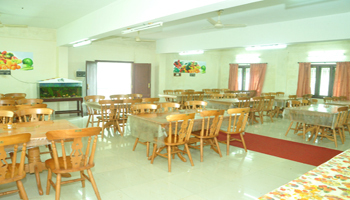 The mess has a well furnished dining hall to accommodate 100 Persons at a time. The solid waste of the kitchen is converted into Bio-gas.The mess is also equipped with water cooler, refrigerator, LPG stove, aqua guard etc.